Dr. Talcott is a Professor, Co-Director of the Center for Addiction and Prevention Research and Director of the Center’s Military Population Health Program in the College of Medicine at the University of Virginia. Although a faculty member at Virginia, he lives and works on Joint Base San Antonio, Lackland AFB, TX. 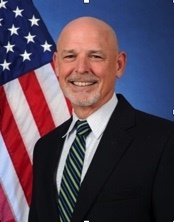 Located at the 59th Medical Wing, he oversees five large National Institutes of Health grants and one DoD grant with Active Duty and TRICARE beneficiaries addressing tobacco cessation, substance abuse prevention and weight reduction. Dr. Talcott is responsible for all grant operations on military installations ensuring both quality research and respectful collaboration with the Air Force. In addition, Dr. Talcott volunteers and is a credentialed provider at the Wilford Hall Ambulatory Surgical Center where he provides treatment to military beneficiaries, supervises psychology interns and residents, and supports other important military research.